In the wake of Aretha Franklin's passing on Thursday after a long battle with cancer, people have been paying their respects to the Queen of Soul. Among her well wishers, political leaders in the U.S. have taken to their social media pages to share their memories of the late singer who died at 76 in her Detroit home. 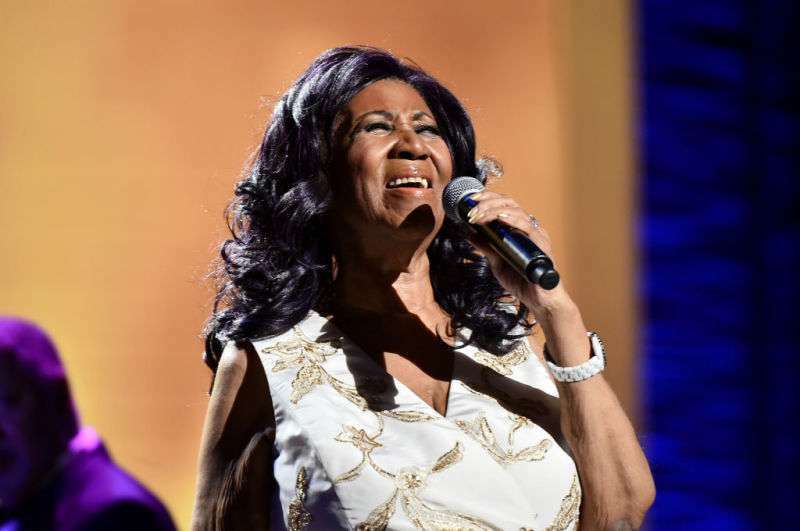 Prominently, the President of the United States paid tribute in a tweet where he extolled her singing prowess and duly noted that she will be missed. Like Trump, former president Barack Obama who shared a bond with Aretha Franklin paid his respect in words and pictures. Notably, he shared a timely, emotion-filled shot of her performance at his inauguration in 2009. Tweets also came from Hillary Clinton, Michelle Obama and Joe Biden among a sea of other prominent voices. Aretha Franklin was so much more than a great entertainer. She inspired. She gave hope. She was part of the soul of the civil rights movement. We won't see her like again. Aretha Franklin truly will be missed. READ ALSO: Sir Tom Jones Leads Tributes To Aretha Franklin With The Heartfelt Words "Your Party Will Never Be Over"